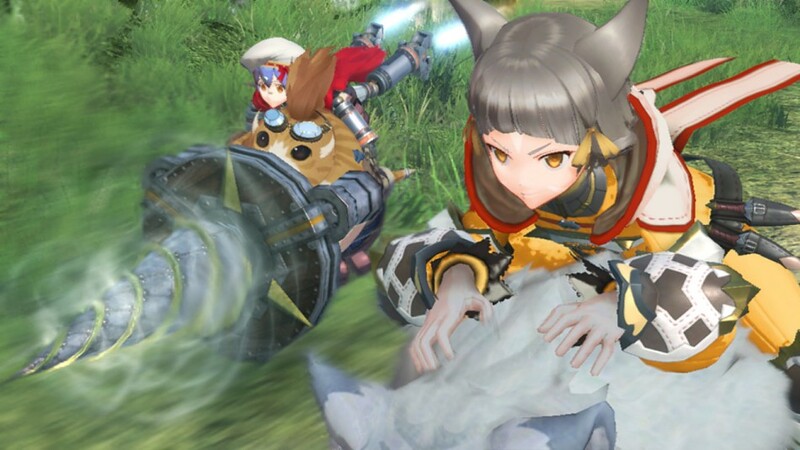 Get up to speed on Xenoblade Chronicles 2’s world and combat! 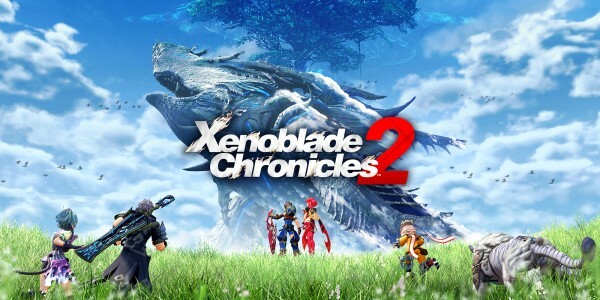 Coming to Nintendo Switch this winter, Xenoblade Chronicles 2 is an epic RPG set amid an endless ocean of clouds, atop colossal beasts known as Titans. During E3 2017, Nintendo Treehouse Live gave us a small glimpse of the world that lies ahead, and also gave a breakdown of the game’s combat system. Please note: the Nintendo Treehouse Live demonstrations took place in English only. The story’s all about a guy called Rex, his new friend Pyra and their journey to a long lost paradise known as Elysium. 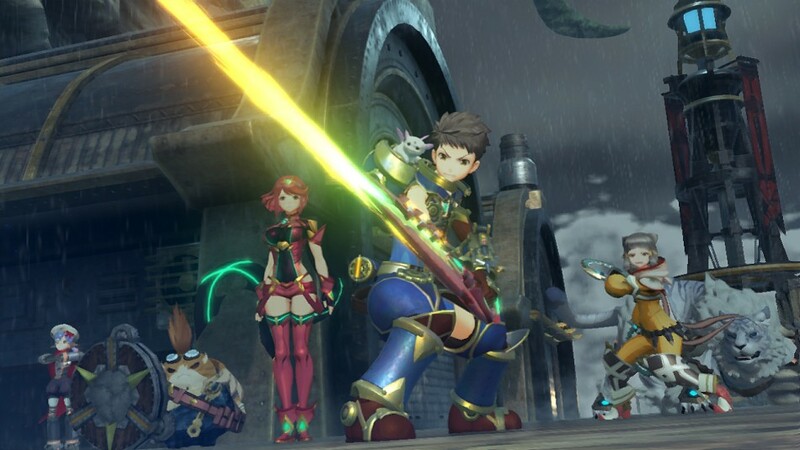 Rex is a Driver, which means he does the physical fighting against any enemies that get in their way, while Pyra is a mysterious being known as a Blade. 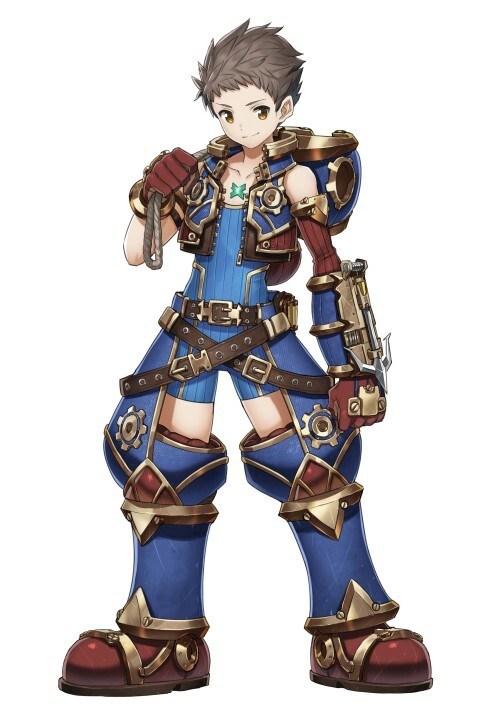 In Xenoblade Chronicles 2, Blades imbue Drivers with a weapon and the ability to fight – and Pyra’s definitely not the only one! 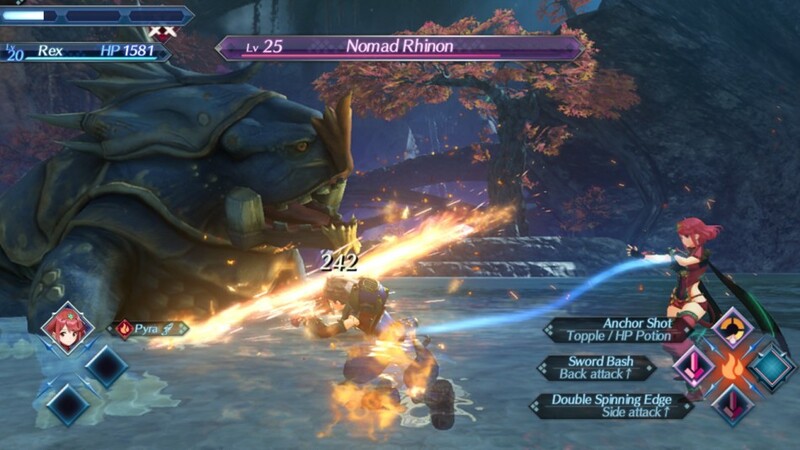 Rex fights in a party alongside other Drivers, each with their own Blades. It’s possible to bond with more Blades as you travel around the world, and each Driver can be supported by up to four Blades at once – though only one Blade per Driver can be active in battle at any one time. Every Blade has its own set of skills. 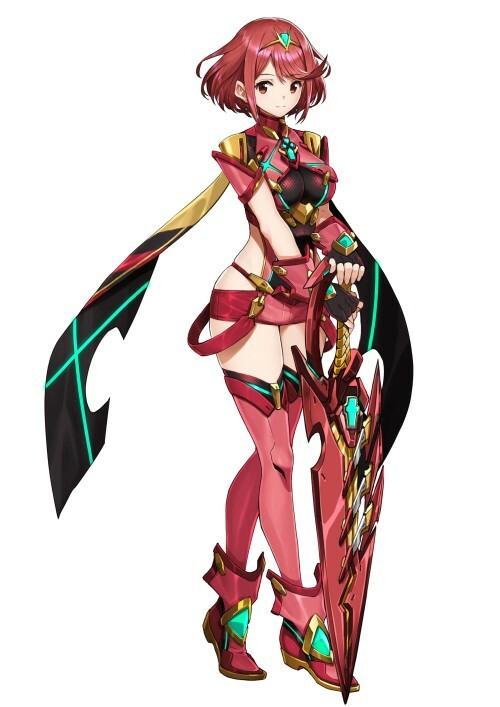 As her name implies, Pyra’s a fiery Blade who can power up Rex with a flame ability when she’s charged, but you’ll also find Blades that can use icy techniques, poisonous powers and more. By using their different attributes, and mixing and matching Blades to suit your play style, there’s a lot of freedom in how you choose to fight. The battle system is built on the ones found in Xenoblade Chronicles and Xenoblade Chronicles X. However, it’s been streamlined so that it’s easier to access a wide range of moves. 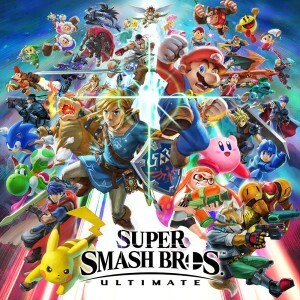 Now Arts – the special attacks and abilities used in battle – can be set off with a press of the X, Y and B Buttons, and you can switch between your Blades on the fly with the Up, Down, Left and Right Buttons. Swapping your Blade gives you access to their Arts, so any ability in your arsenal is only ever a mere two button presses away. Handy, eh? That doesn’t mean things are going to be easy, though! Arts need to be charged up before you can use them, as do Blade powers. After entering battle, if your character is in range of an enemy they’ll begin attacking automatically. Arts are powered up as these auto-attacks land, and in turn Blade powers build up whenever you use Arts, so you can’t go all-out as soon as you draw your sword! You can also work with the other Drivers in your party to unleash devastating combos – but only if your timing’s top notch. What are all these options without a world worth fighting for, though? 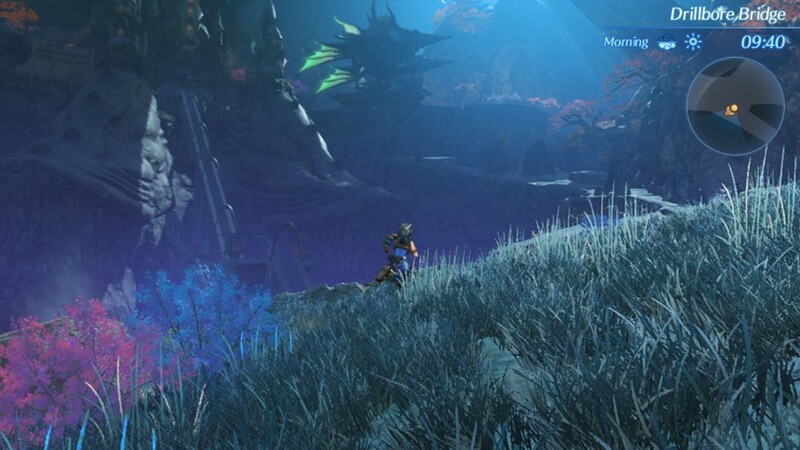 While only a small part of it is shown in the demonstration, several Titans make up the world of Xenoblade Chronicles 2. You’ll explore the lands that lie on these enormous creatures, each with their own distinct settings and civilisations, such as grassy lands, snow fields and water-based areas. We can’t wait to explore it! 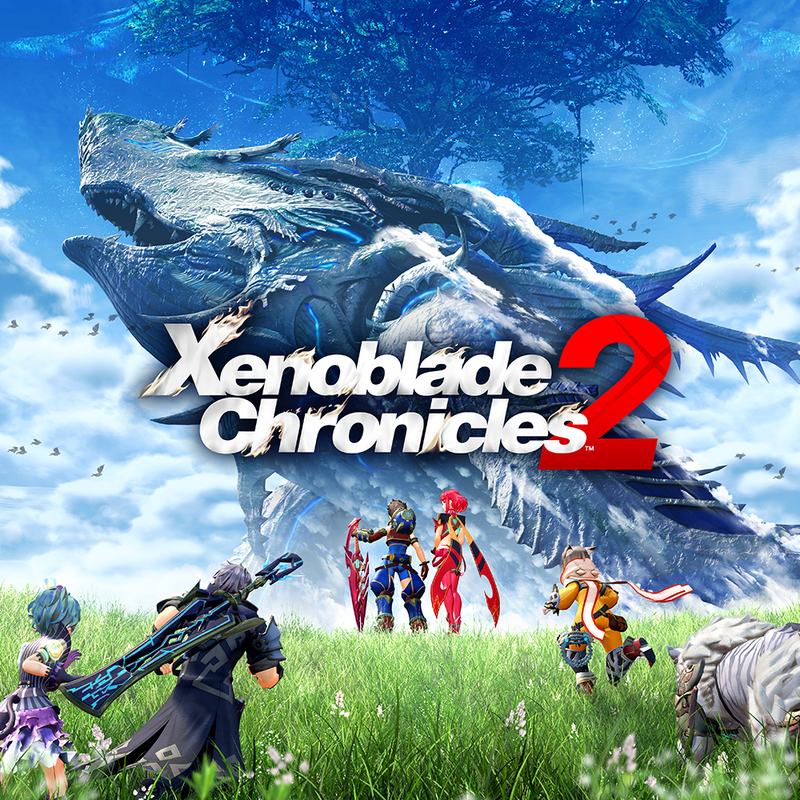 Check back later for further details on Xenoblade Chronicles 2, and keep an eye on our Nintendo Switch Facebook page for more info. Also, if you haven’t heard them yet – or even if you have – why not have a listen to some music samples from the game? 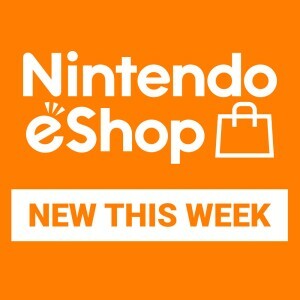 Xenoblade Chronicles 2 will be available in shops and as a downloadable version from Nintendo eShop in winter 2017, only on Nintendo Switch. Please note that all content, media and artwork are based on this software as shown during the Electronic Entertainment Expo in June 2017. Video footage of software currently in production. As such, certain aspects of the footage shown (e.g. terminology) may differ slightly from the final retail product.